(16’4″ x 13′) Very large south-facing double with balconies on two sides, an extra pair of fitted bunks, bathroom and wc. 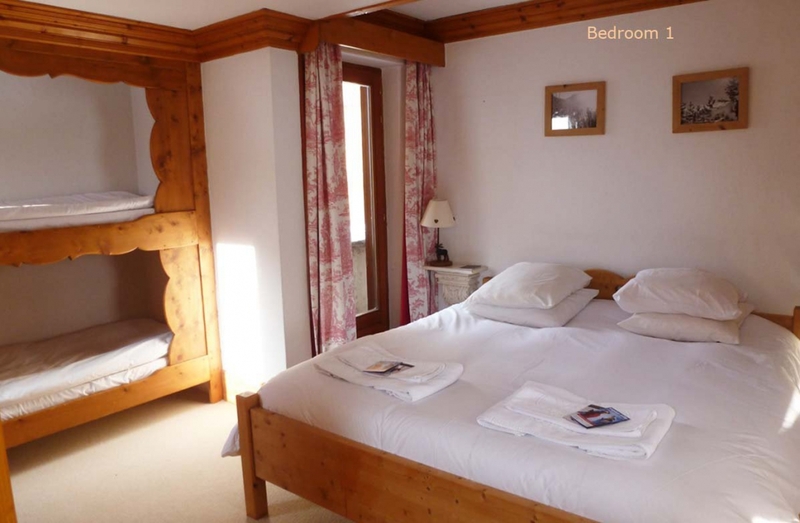 Twin (12′ x 9′) with balcony and view up Face de Bellevarde, and bathroom and wc. Double (18′ x 8′) looking west, divided in half by fitted cupboards, with bunks on one side of them. Bathroom with wc. Double (10′ x 8′) facing west, with balcony, shower and wc. Twin (11′ x 8’6″) with shower-room and wc and a small window looking south. (16′ x 10′) Light and spacious. 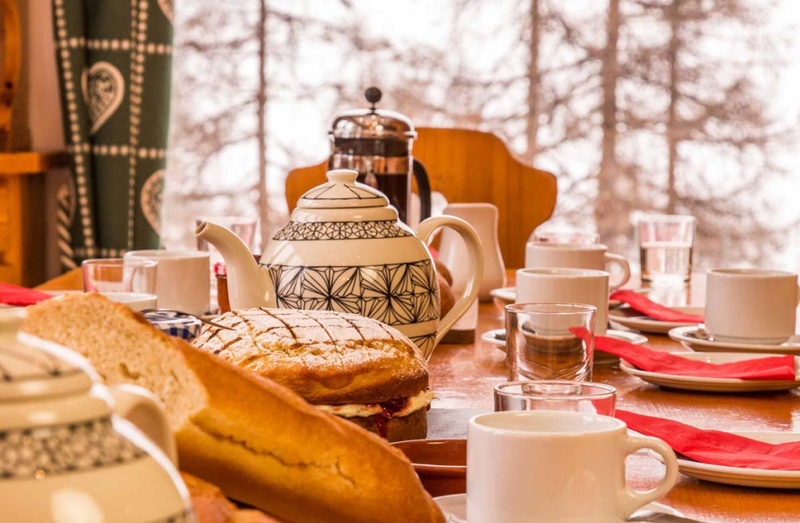 Skiers pass as you eat breakfast and tea. The kitchen is off this room. (19′ x 14′) with 16′ high ceiling! 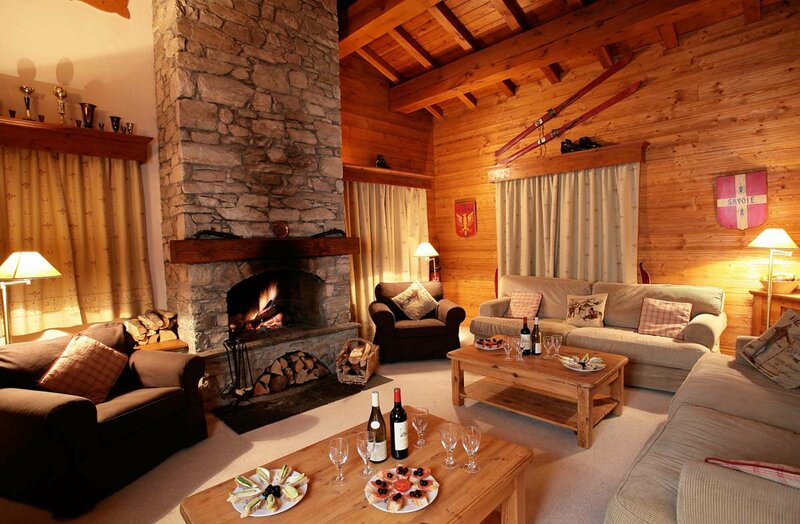 Very comfortable with lots of armchairs, log fire, TV and DVD, and vast balcony. WiFi. (9′ x 4′) Next to dining room. Thomily is quite unique. 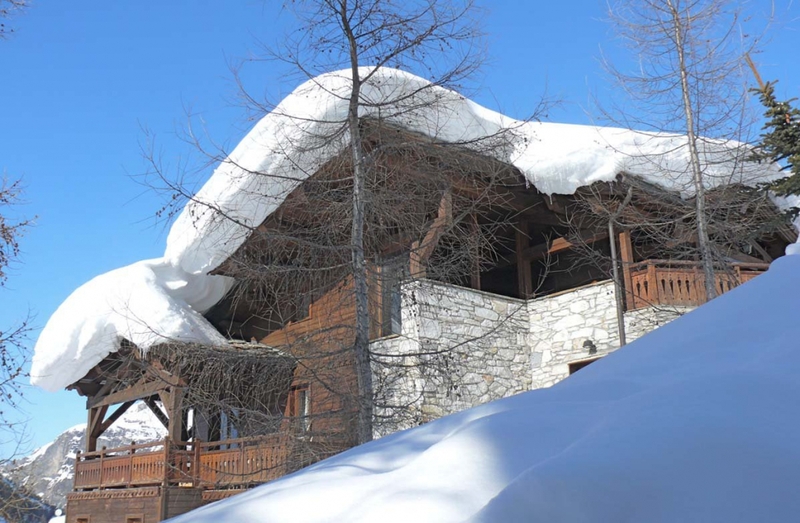 How many chalets have their front door at the top, their bedrooms below their sitting room, and a dining room practically on a ski run? The top-floor sitting room is roomy and high, with huge windows and a wrap-around balcony giving wrap-around views of Bellevarde and the Charvet. 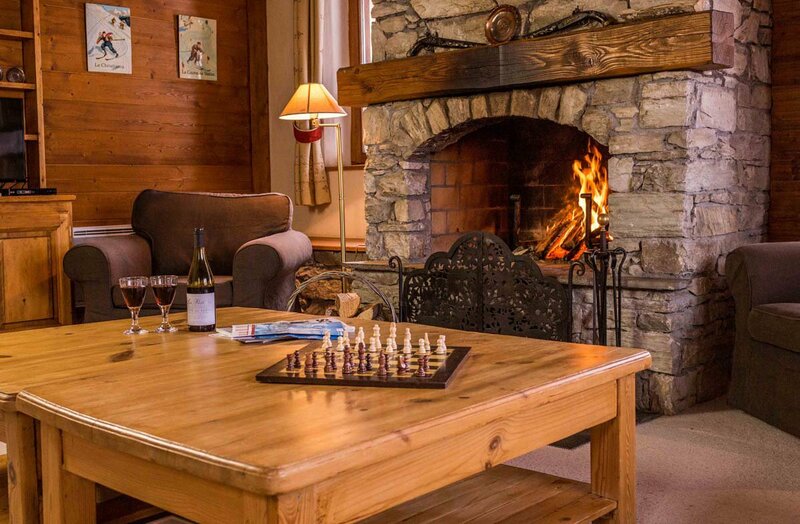 When the sun goes down, there are DVDs, WiFi and a log fire. On the next level down are the five excellent bedrooms with their rather opulent marble bathrooms. 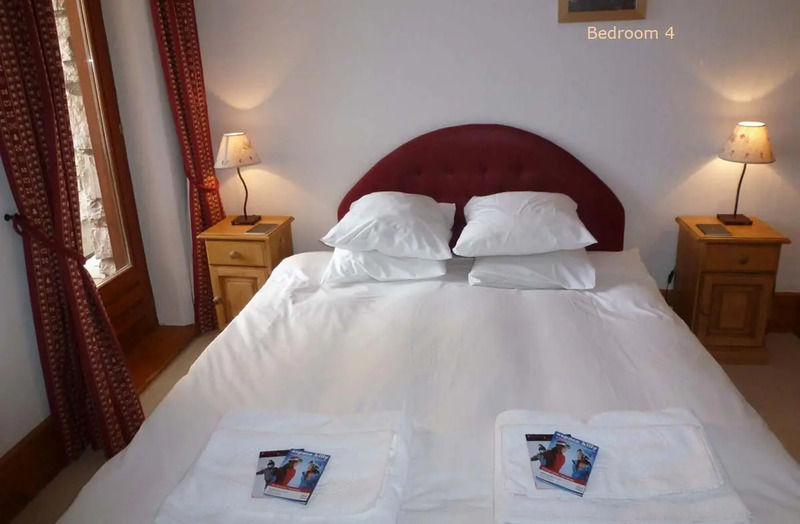 Three bedrooms have balconies with lovely views, while two have extra beds for up to four half-price children, or a maximum of two extra adults, all subject to flight seats. The lowest floor is where the amazing dining room is. If you are the keen sort who’s on the first and last lifts, you’ll miss the slightly surreal experience of waving your toast at skiers as they glide past just a few feet away. Next to the dining room are the kitchen, where one of our top chefs will be getting hot and stressed, and the sauna, for you to get hot and de-stressed. 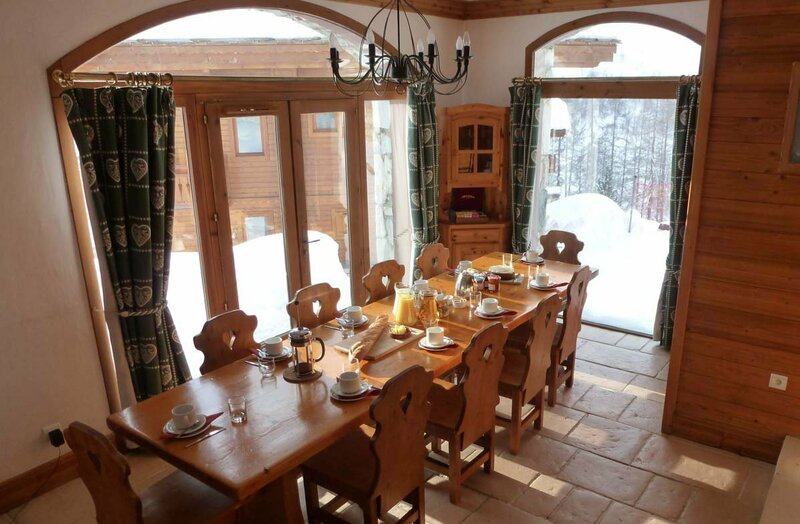 If you’re coming to Val d’Isère for the nightlife, art galleries or church, we do have chalets in more convenient locations. 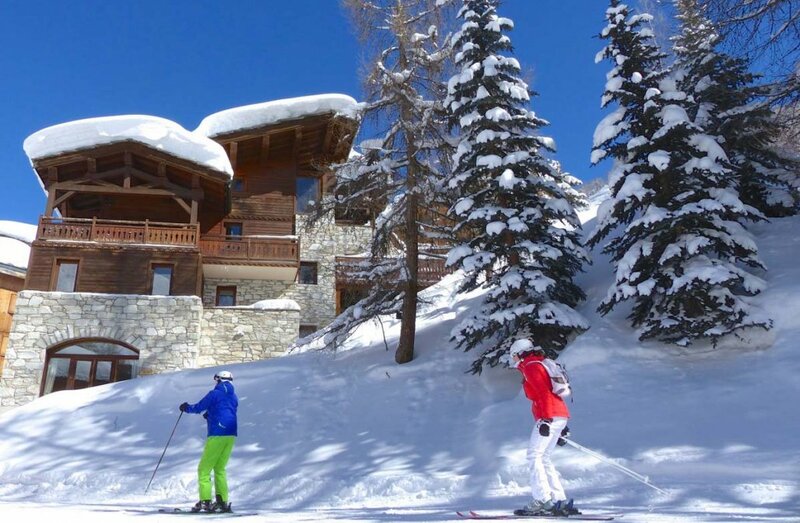 The main village is twelve minutes’ walk across the nursery slopes or fifteen by road, though there’s a free and frequent bus service for anyone too skied-out to walk. 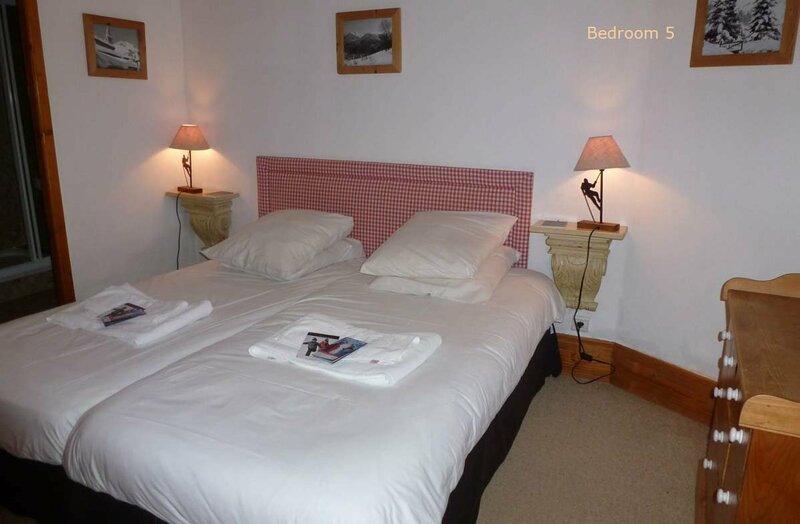 But if you’re coming for the skiing, look no further: Thomily is very well situated. 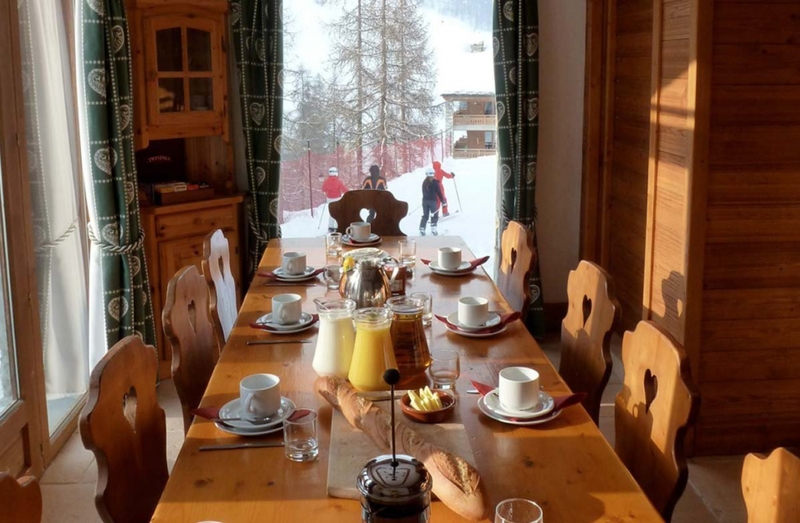 Confident skiers collect their skis and boots from the ski locker and boot warmer on the top floor and ski down the steep little hillside past the dining room, hoping not to cause amusement to anyone still at breakfast. The rest of us just walk the hundred metres or so to the M piste, whence we zoom down to the village centre, nursery slopes and main lifts.